Was away for two days last week for Seminar Sedekad Sekolah Bestari(Smart School) in Sekolah Alam Shah Putrajaya. Didn't realised that i've been involved with the Smart School for almost a decade already. Did the Smart School had any effect on me? Definately the answer is yes. I don't think I'll be in this position now if it's not for the Smart School. I was exposed to so many things on ICT that I wouldn't have if I'm not in the Smart School. Did see some interesting presentation from students from selected Smart Schools around the country. 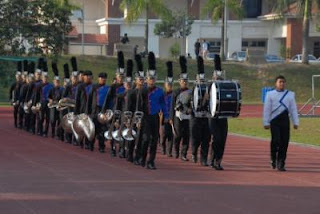 The Victoria Institution (VI) Band was fantastic. No wonder they are able to go internationally. 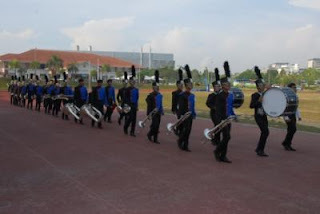 The Sekolah Alam Shah Wind Orchestra was also impressive as all the other presentations by the other students like the research done by the Tunku Kurshiah College Girls, robotic and F1 by the Alam Shah boys and the use of I-Kit in teaching & learning by 2 teachers from SMK (P) Temenggong Ibrahim, Johor. I really think that students nowdays are a lucky lot to experience all these while still in school. I didn't had that oppurtinity when I was in school (that was ages ago). So students, make the best of your years in school, there's so many things to look forward to.